Every summer it seems one local theatre groups puts on the satirical play The Ritz. This summer it happens to be the Muncie Civic Theatre Studio in Muncie, Indiana. As described on Amazon.com, the farce is set in a gay bathhouse in Manhattan, where unsuspecting heterosexual Cleveland businessman Gaetano Proclo has taken refuge from his homicidal mobster brother-in-law, Carmine Vespucci. There Gaetano stumbles across an assortment of oddball characters, including a rabid chubby chaser, go-go boys, a squeaky-voiced detective, and Googie Gomez, a third-rate Puerto Rican entertainer with visions of Broadway glory who mistakes him for a famous producer and whom he mistakes for a man in drag. Further complications arise when Gaetano’s wife Vivian tracks him down and jumps to all the wrong conclusions about his sexual preferences. 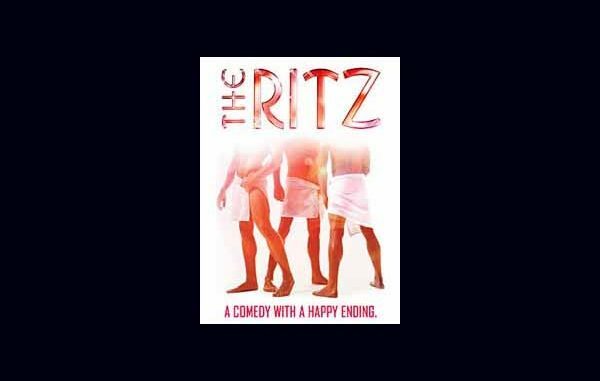 The Ritz runs from July 8-16. If you haven’t seen this play, but sure to check it out. It is a classic. If not think about renting (or downloading) the movie version of The Ritz. If you know nothing about the gay baths, this story will be an eye opener for sure.